The most useful book you will ever own. 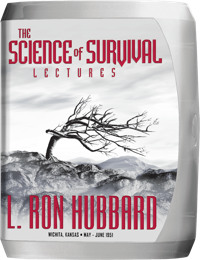 Built around the Hubbard Chart of Human Evaluation, Science of Survival provides the first accurate prediction of human behavior. Included on the chart are all the manifestations of an individual’s survival potential graduated from highest to lowest, making this the complete book on the Tone Scale. Knowing only one or two characteristics of a person and using this chart, you can plot his or her position on the Tone Scale and thereby know the rest, obtaining an accurate index of their entire personality, conduct and character. Before this book the world was convinced that cases could not improve but only deteriorate. Science of Survival presents the idea of different states of case and the brand-new idea that one can progress upward on the Tone Scale. And therein lies the basis of today’s Grade Chart. 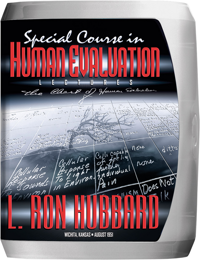 Dianetics revealed the previously unknown Reactive Mind that enslaves Man and the auditing procedures to get rid of it. But that was only Plan A, laying the groundwork for further research into life force. Here, then, is theta (life force) and MEST (the physical universe of Matter, Energy, Space and Time) and their interaction which is life itself. Therein also lay the anatomy of the Tone Scale and both the reason for an individual’s downward descent and the means to ascend upward. This book is written around the now legendary Chart of Human Evaluation providing a complete description of the reactions, traits and behavior patterns of an individual at any given emotion. By knowing just one or two characteristics of a person, you can know the rest—their entire personality, conduct and character. Then, with entirely new types of processing, one can unleash the full inherent theta potential of a being to move up to the highest levels of freedom. Here, then, are the fundamental breakthroughs that are the basis of the Grade Chart itself. 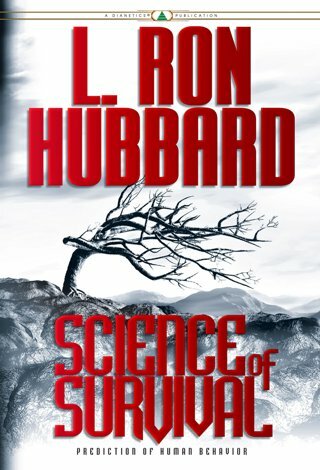 Science of Survival is the essential handbook for every auditor and the means to predict human behavior in life itself. And that’s why it’s the most useful book you will ever own.